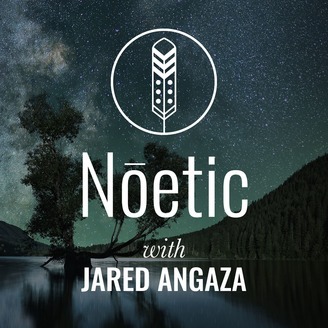 Lifelong Identity Architect and philanthropist, Jared Angaza holds a space for evocative conversations about culture, spirituality, and what it means to live fully alive. Who are we and why are we here? How do we integrate new and ancient wisdom and ensure that our lives reflect our values and beliefs? What does it mean to live authentically? Over 20 years of activism, international brand development, and ardent studies of human behavior and ancestral wisdom, Jared has realized that the keys to the vitality of humanity and our planet are abundantly present within the ways of the mystics and indigenous cultures that have come before us. 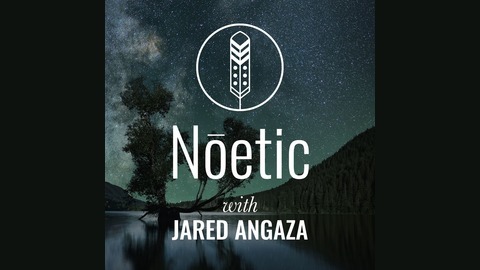 The term Noetic refers to a deep, inner knowing and innate wisdom to see and understand our universal consciousness. Jared and his guests explore concepts such as sacred activism, mindfulness, third way thinking, indigenous wisdom, mysticism, Taoism, and the importance of creativity and wonder in our lives. If we want to change the world, we have to change the way we see it. Joshua Spodek is an NYU Professor, TEDx Speaker, best selling author, astrophysicist, and host of the Leadership and the Environment podcast. Josh was on the show two years ago and we’ve become great friends since. With his new book coming out, I wanted to get him back on the show for another interview. In this episode, we talk about what it’s like to truly live by your values, in a way that brings you joy, rather than a feeling of obligation or sacrifice. Josh is a genius when it comes to effective leadership and living an authentic life that brings you, and others, joy. We talk about the fact that most activists and leaders are stuck in the habit of making demands and trying to guilt people into perspective and behavioral change. However, facts and figures don’t usually get people to change. Josh offers some profound advice on how to more effectively incite behavioral change that comes from true desire, rather than a feeling of obligation. Living in harmony with our planet is not an obligation, it’s an opportunity to live a happier, more purposeful and fulfilling life. Decluttering and minimizing and living deliberately isn't about lowering your quality of life, it’s about raising it. It’s widely believed that we must change our mindset in order to change our behavior. However, Josh has found that very often, just changing our behavior can begin to shift our perspective. Experiences are what form our beliefs, so when we have new ones, they affect the way we see the world, and what we believe to be true. We have enough technology and information to heal the planet and live harmoniously with nature. The real question is “will we choose to do it”? What would your life look like if you lived by your deepest values? Four Steps to Living By Your Values Here are Josh’s four steps to living by your values that he shared on the show. Ask yourself the question, "What does the environment mean to you?" Think about the emotions, feelings, etc. that come up with that question. What do you value about the environment around you? Think of something you could do to act on that value. Not the biggest thing, just a simple step that is in line with your values. Once one small thing you could do today? It should be specific, like a type of plastic, or packaging, or something like that. It should have a timeline on it. Create some form of accountability for making it happen. Tell someone what you’re doing and commit to doing it in a specific way in a specific time period. Design your own ways of reminding yourself of your values so you can hold fast to them. There is no greater joy than to give yourself to a purpose greater than yourself that elevates the human experience. It’s only the first stage (5%) of the work that requires the most self-discipline or willpower. But once you experience the benefits of living that way, it transforms into simply continuing to uphold behavior that brings you the most joy. Our best life is available to us any time we want it. We just have to be clear about what we value, and commit ourselves to live by those values. Josh’s incite almost makes it sound easy. And perhaps it truly is.